Commercial Cleaning Services — Leticia's First Class Cleaning Inc.
Commercial cleaning services are available for your business needs before or after your working hours. 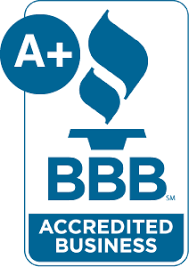 Leticia's First Class Cleaning, Inc. is licensed, bonded, and insured. We perform the best commercial and residential cleaning in San Luis Obispo County using an array of cleaners from the basic cleaners to nontoxic and natural cleaning products that are SAFE and POWERFUL, as well as GREEN. Commercial businesses have other important matters to attend to - leave your mess in our hands and see what we can do for you! Commercial cleaning services are often thought of as less frequent, deeper cleanings, than janitorial services. Do you desire weekly or bi-monthly janitorial services? We offer that, too! Either way, we’ll get your office, tasting room, restaurant, or other business sparkling clean in no time! We come ready to serve you. We understand how important it is for you to keep your business or office clean, and that details matter just as much in commercial cleaning as they do in the home, so we do the job the way you want it done. We have local references from throughout San Luis Obispo County and have been providing the community with quality cleaning services since 1998. Most of our clients were referred by previous clients who enjoyed our quality and wanted to share us. We use cleaning techniques that really work, we don't just move around the dust. We do what it takes to make your business or office a clean and healthy place for you. We come fully equipped with the commercial cleaning equipment needed including mops, vacuums, dusters, brooms, and more, and we are ready to take on any challenge that may come our way. If something special should arise, we offer many extra cleaning services capable of meeting your commercial cleaning needs from power washing and carpet cleaning to refrigerator clean outs and junk removal, just give us a call and let us know your special cleaning need and we’ll schedule something extra in addition to your regular cleaning. Offices without walk-in visitors may not need daily janitorial cleaning services, but will still want to be on a regular cleaning schedule depending on the size of the staff and building. When staff are in the same environment for 8+ hours per day, it is vital to their wellbeing that this environment be clean. We also offer completely non-toxic cleaning products upon request to promote healthier air quality for you and your staff. Our office cleaning team will see to it that your staff can focus on their work by providing them with clean floors, desks, windows, restrooms, and even a clean kitchen. Just think about how many office conflicts could be prevented by having the microwave professionally cleaned on a regular basis? Paso Robles is wine country and we are proud to be here! Leticia’s First Class Cleaning is based in Paso Robles and we know the commercial cleaning needs of our tasting room clients. Tasting room patrons expect an exceptionally clean tasting room for a first class experience, and employees need a work area free of spills, stickiness, and trash so that they can provide their amazing customer service. With Leticia’s First Class Cleaning providing the commercial cleaning services, your tasting room team can focus on the customers, the customers can focus on the wine, and the wine will continue to be the focal point of the experience.